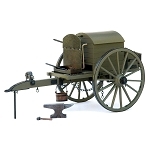 The hand-cranked machine gun was invented in 1861 by Dr. Richard J. Gatling of Hartford County, NC. Over time, 6-barrel and 10-barrel versions were produced in various calibers, including .45, .50 and 1". All were activated by cam-operated bolts that alternately wedged and fired the bullets, then ejected the spent cartridges, allowing each barrel to cool down before it came around to be fired again. 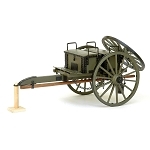 Manufacture of the Gatling battery gun began in 1862, but its design was so radical that the U.S. government did not purchase any at that time. However, Gen. Benjamin F. Butler of the Union Army bought and personally paid for 12 at $1,000 each. 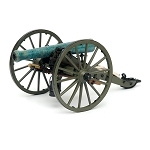 He used them at the siege of Petersburg, VA in 1864 1865. 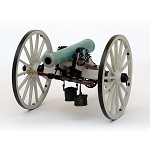 Firing 350 rounds a minute, the Gatling gun was without equal in the era of single-shot guns. 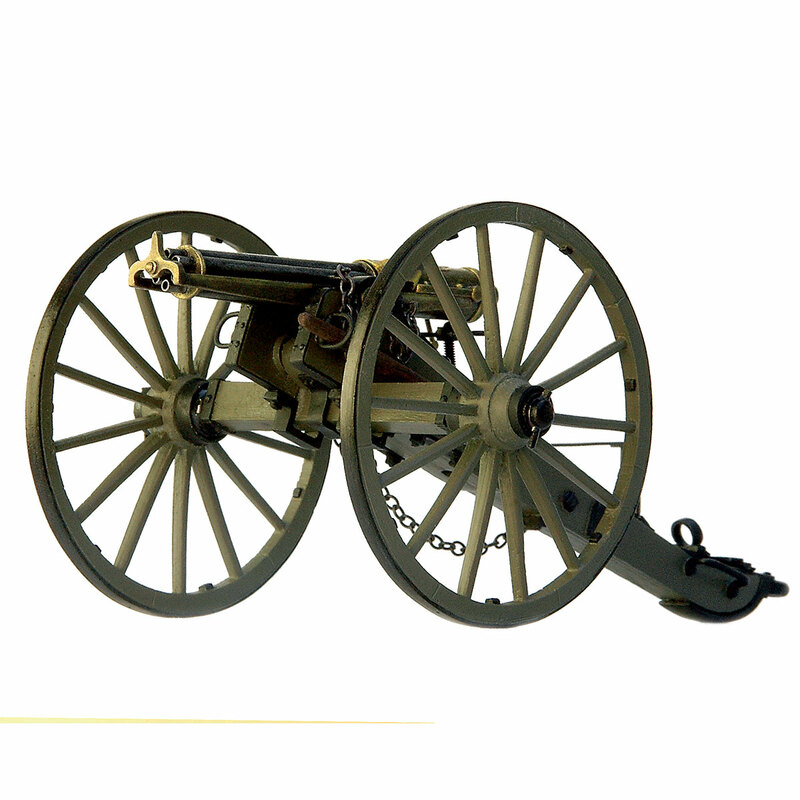 The U.S. Army officially adopted it in 1866 and ordered fifty Model 1866 six-barrel, 1" caliber guns.